Happy New Year, Pierce County! Does anyone have resolutions for 2017? Do they include being more active, more mindful, to learn, to travel, or to spend more time outdoors? If so, there’s plenty of happenings in Pierce County that align with those goals! See our suggestions below, and then check out our online events calendar and itineraries page to get inspired to make this weekend, and year, full of memories. Have a great weekend! Winter is a great time to see the mountain, and what better way than to snowshoe? Every Saturday and Sunday Mt. 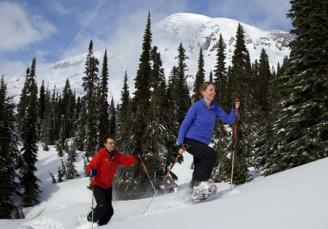 Rainier National Park offers ranger-led snowshoe trips. These 2 mile trips are suitable for beginners, and any participant eight years or older is welcome to join. Sign up 1 hour before the 11am or 1:30pm snowshoe tour, and come prepared with warm clothes, gloves, sunscreen, sunglasses and suitable boots. Snowshoes are provided, but if you have your own you&apos;re welcome to bring them! After you&apos;re finished, stick around and play in the snow, or grab food at the lodge. Be advised: tire chains are required to enter the national park during the winter season. You can rent them here. Also check the weather and road closure advisories for the park before you go. 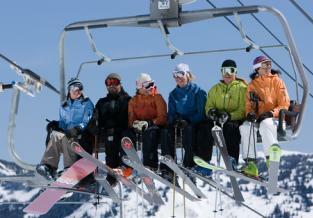 Both expert and beginner skiers can find fresh powder at Crystal Mountain Ski Resort. Groomed runs are ideal for snowboarders and skiers, but even those not hitting the slopes can still enjoy the great views offered on the gondola ride, or lunch at the summit house restaurant. Make it a weekend event, and consider staying at a lodge or cabin in the area. Is making travel plans part of your new year&apos;s resolutions? 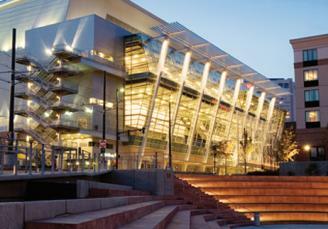 Get inspired with the Travel Expo at the Greater Tacoma Convention and Trade Center this Friday! The expo is free to attend, and runs from 11am - 7pm on Friday, January 6. Word has it there will be a live camel in attendance, and the opportunity to win a pair of airfare tickets form Alaska Airlines, tickets to the Festival of Sail 2017, and lots of other goodies and takeaways. If you haven&apos;t stopped by Wright Park before, you&apos;re missing out. This park nestled in Tacoma&apos;s historic stadium district features an arboretum, mile walking loop around the perimeter of the park, and a gem of a conservatory that also hosts monthly events. 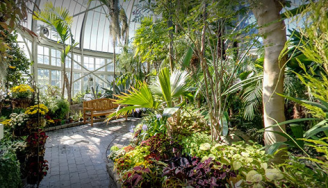 W.W. Seymour Botanical Conservatory is offering two events this weekend: Relax and Renew with guided meditation inside the lush gardens on Saturday, January 7, and on Sunday, January 8, enjoy live musical performances! Get your pup in on your active lifestyle! The dog park at Fort Steilacoom Park is the largest in the area, offering acres and acres for your four legged friend to explore. There&apos;s even a special area designated for smaller breeds, so all types of dogs will feel safe. 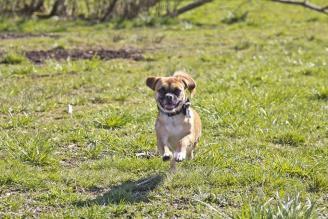 Fort Steilacoom Park also offers miles of trails that your dog can accompany you on, just make sure to bring the leash.